In perhaps my favorite book of hers to date, Lisa Gardner draws you into an extraordinary tale of three women, two murders, deep secrets and double lives. Distinct story lines are woven together brilliantly while maintaining that all-consuming, nail-biting level of tension. Gardner is such a master of suspense, her prowess indisputable with a story that’s both complex and easily followed—a feat not many authors could accomplish. NEVER TELL opens with a man slumped over on his office chair—dead—his pregnant wife holding a smoking gun, the police rushing in moments later. Detective D.D. Warren knows this woman, Evie Carter, from sixteen years ago when she claimed she shot her father accidentally. Now, a second death, one she again claims she is innocent of. When Flora Dane (kidnapping survivor and Warren’s CI) catches news of the murder on TV, she recognizes the dead man instantly, she remembers him from a seedy bar while still held captive by Jacob Ness. Shaking and racked with guilt over what she should have done back then, she’s determined to figure out his connection to her once captor. Together, D.D., Flora and a motley crew of investigators begin to unravel a case that is darker and more tangled than expected—so tangled in fact, that its connection to two other cases makes matters all the more complicated and shocking. Gardner pens a compelling procedural thriller replete with her trademark twists and turns, and strong, well-developed characters. The antithetic and evolving nature of D.D. and Flora’s relationship is fascinating, and really comes alive on the page. The case at hand is personal to them both, and we see their vulnerability exposed under a new light—not only in how they relate to each other, but also how Flora is forced to re-visit her harrowing past in a way she’d not intended. 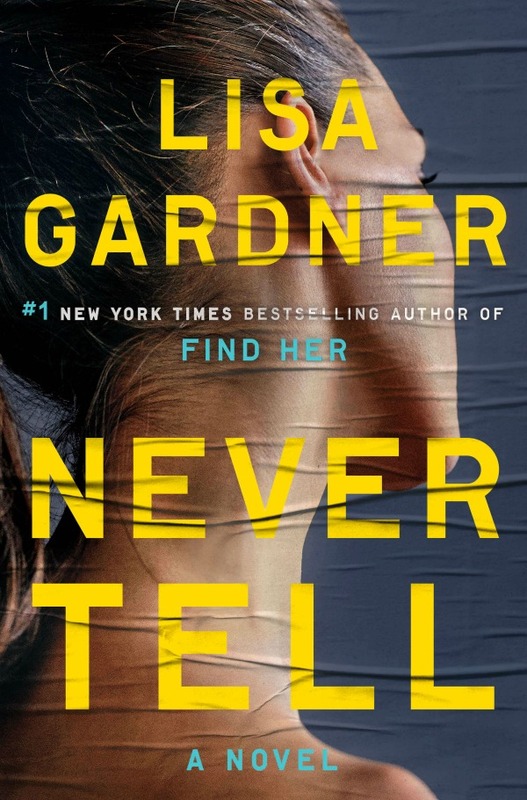 Adrenaline-charged, cleverly wrought and unrelentingly intense, NEVER TELL is an immediate 2019 favorite, and a page-turner no suspense junkie should miss.